At Webtron, we understand that sometimes the thought of creating a website can be a scary one, especially if you haven’t done it before. Webtron isn’t like most Web Design companies. In each and every instance, our Melbourne-based team will work from start to finish, and beyond, in the creation of your business site. Our team will walk you through the 4 critical stages of website creation to make sure that we will guide you through every step of the way. A Website is an extension of your business and a great investment for your brand. It is your silent salesperson, which needs to be functioning at maximum capacity, day and night, to keep your brand looking sharp in the eyes of customers, even after you’ve gone home for the day. 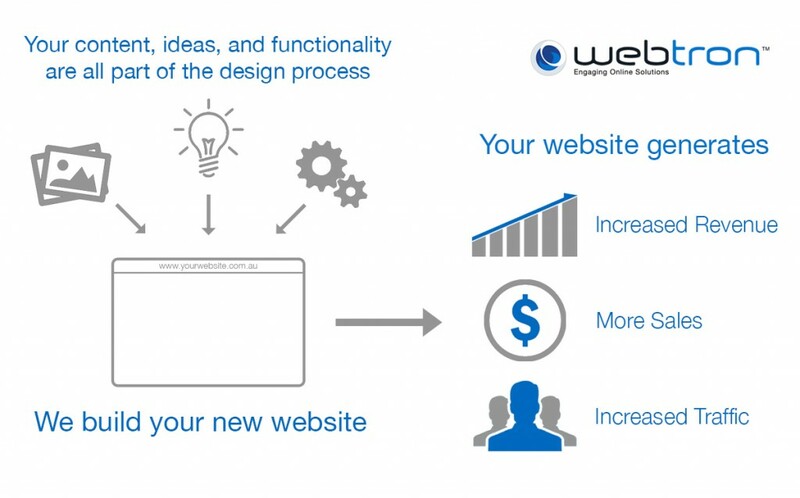 At Webtron, our customers have a say in every detail that may shape the design of their websites, because no one knows your business better than you. Our team works closely together with you, to ensure that your website is handcrafted and tailored to suit your business needs. We use a comprehensive design-and-feedback consultation process. This is so that you are 100% satisfied with your website’s design and functionality… Before we even start building. This way, we both know that your website will look, feel, and breathe your brand’s messages out onto a multi-reaching platform. 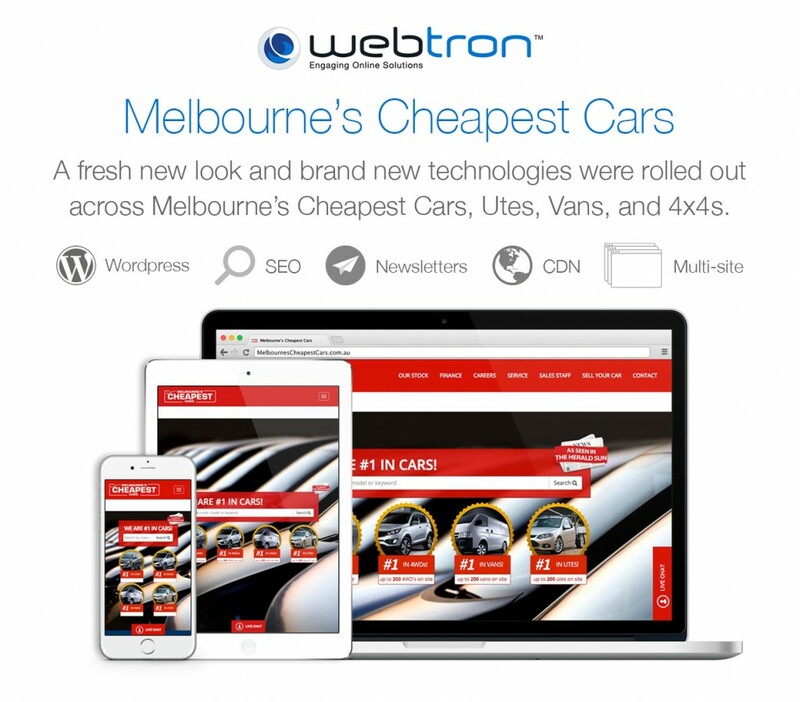 Webtron has a number of services to host your website, depending on the size and requirements of your business. Your website will always be hosted on a dedicated server with Webtron hosting. This means that you’re not sharing your server with hundreds of unknown third party sites. At Webtron, after we Design, Build and Host your Website, we continue to monitors the status and condition of your site in order to sniff out problems before they happen. As a customer of Webtron, you will always have us in the background, looking out for your Website whilst you continue on with your day-to-day work. We keep regular back-ups of your data to ensure that your website runs efficiently and effectively throughout each calendar year. Check out some of our happy customers below! We’ve taken their businesses, and helped them grow significantly through their online channels. 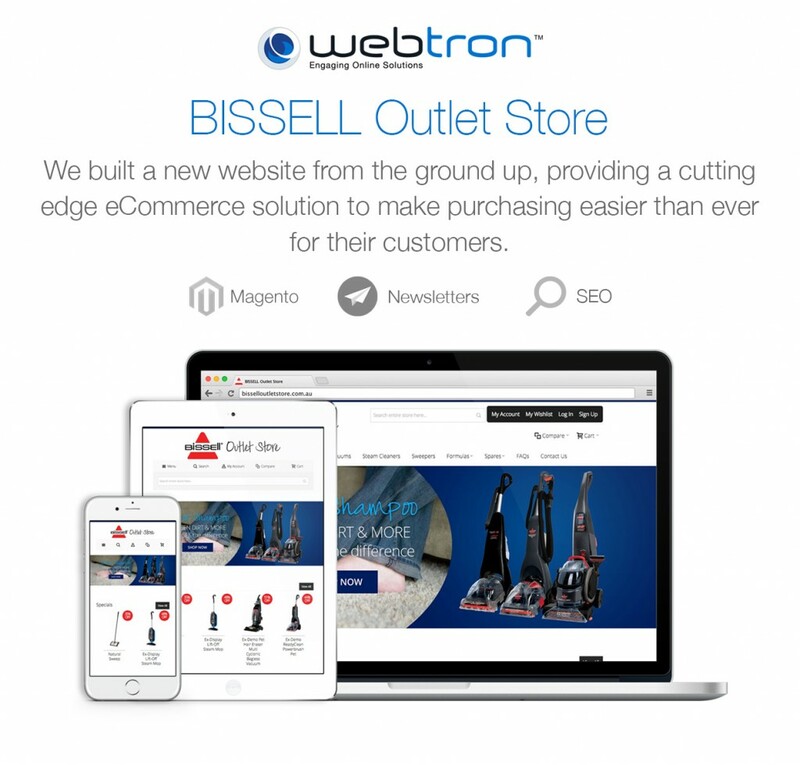 The BISSELL Outlet Store has been exploding in online orders since we added in their New eCommerce Platform!